Hey guys! 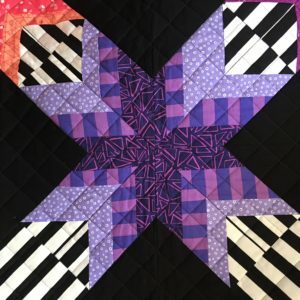 Welcome to Weeks 7 and 8 of our Feathered Star Quilt Along. I’m writing to you from our new home in Houston, Texas! Woo hoo! Things seem to be settling down… I sleep in the same bed every night and we finally have a place to sit in our house. LOL! Still waiting on our stuff from the Netherlands, but we do have a place to sit! Whoopie! And now, I’m catching up on work and trying to enjoying a bit of an abbreviated summer. 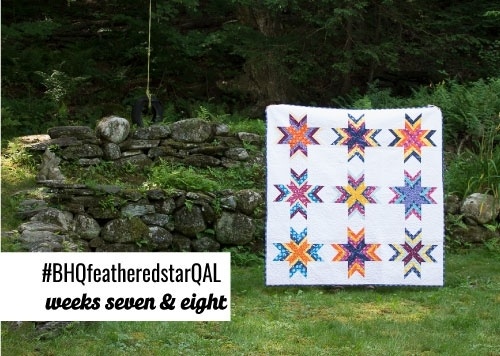 Scheduling note: I’m combining Weeks 7 and 8 of our Feathered Star Quilt Along. 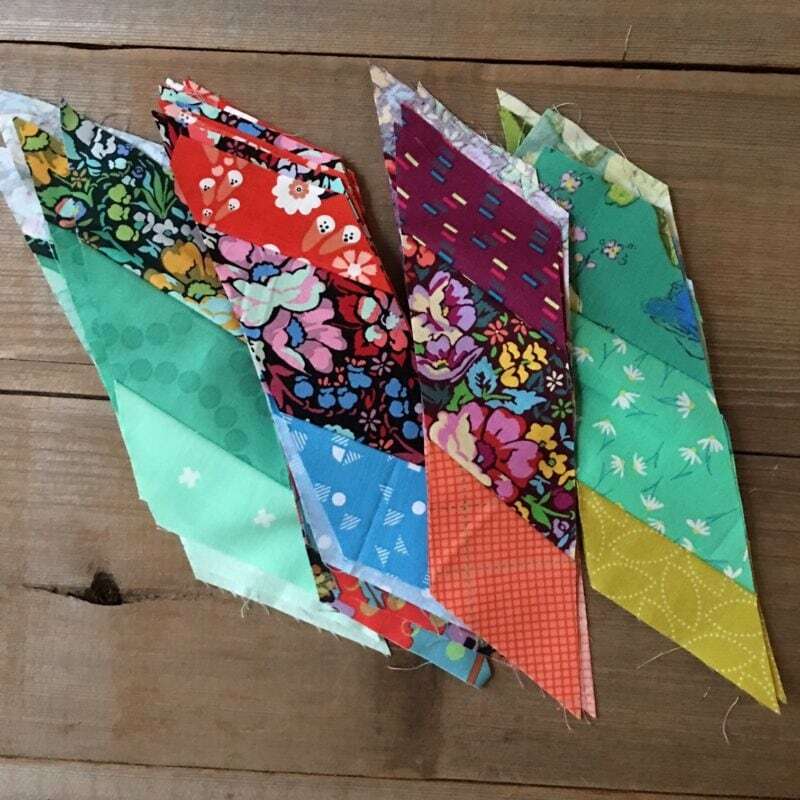 Let me take a moment to thank last week’s sponsor Curated Quilts. The winner of the issue is @terryabk. Congrats! This week’s prize is a $50 gift certificate for long arming services at Canoe Ridge Creations, read below for more details. 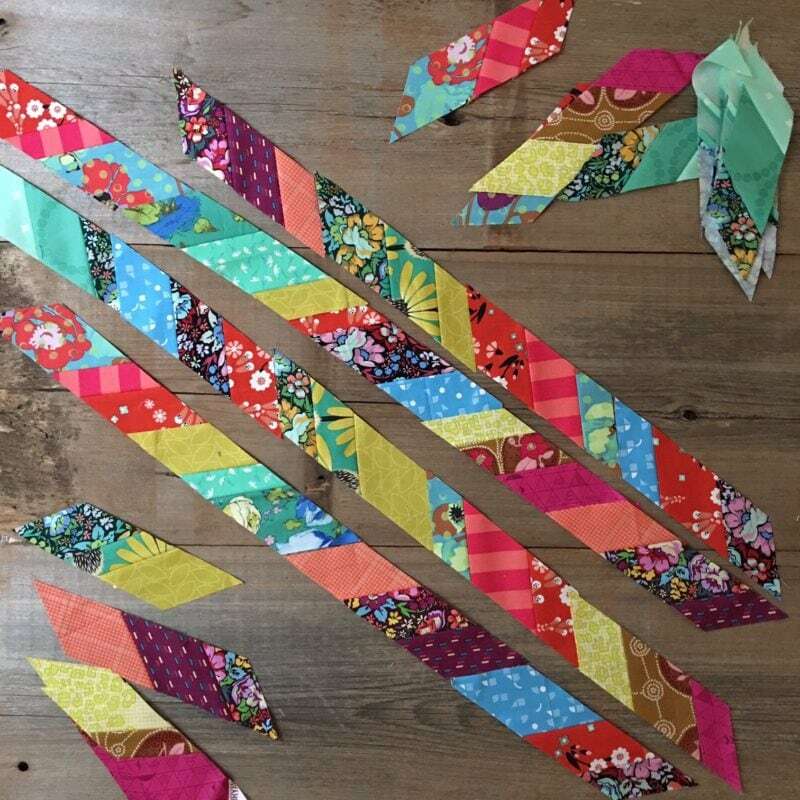 This week, let’s talk through some basic quilting options! For my two quilts, I chose all over designs for the quilting. In my Luna Sol version, I chose 3 different quilting motifs and repeated those 3 motifs over and over again. In a nutshell, I chose three motifs I felt fairly confident in FMQing and went well together. Then I just kept repeating and repeating them. It’s a pretty neat way to FMQ all over. Read more here. 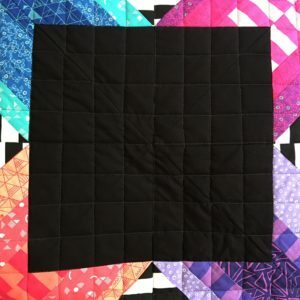 For my Panache quilt, I chose a basic all over design: cross hatch! It’s always a great choice and easy! If you’ve followed me for a little while, then you know I love cross hatch. Classic! There’s a few places where one could add some more custom details – the stars and the background squares. Of course you could emphasis the stripe part of the quilt design as well. TIP! 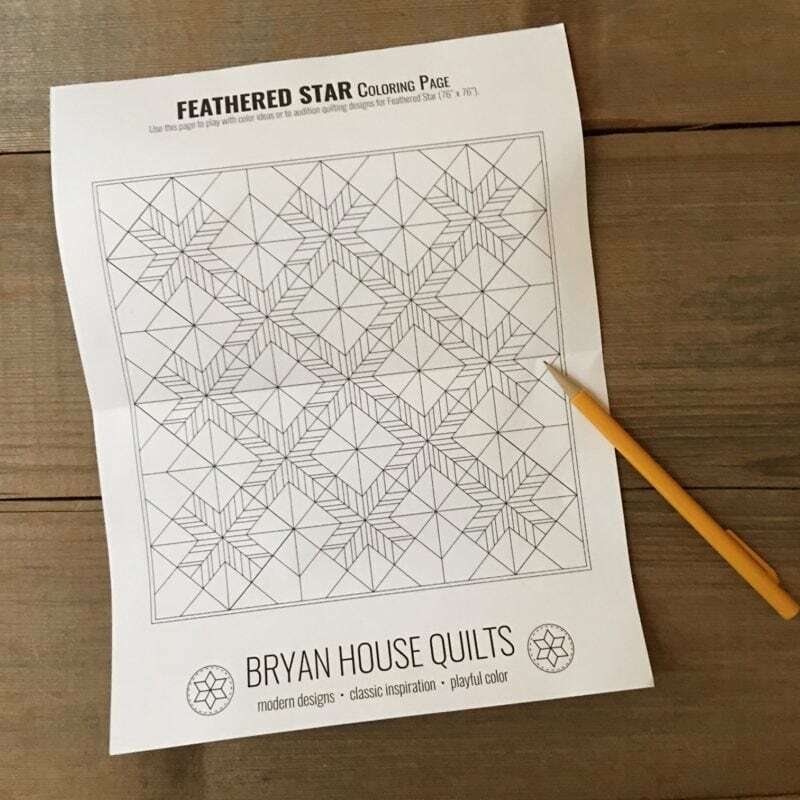 Use the coloring sheet as a way to test drive custom quilting patterns. A few weeks ago, when we did the star spoke cutting, I mentioned that we could use the left over strip sets to piece a scrappy binding. When we did the cutting, I instructed you to cut extra 2 1/4” spokes from the left over strip sets. And now you’ll have a bundle of these 2 1/4” spokes. You’ll have approximately half angled one way and the other half angled the other way. If I’ve done the math correctly, you’ll have plenty of these spokes to make the binding. What you’ll want to do is sew the like angled spokes together end to end to make longer strips. It will look a bit like the above photo. At some point you’ll likely join the opposing angled pieces together to finish the final continuous binding. 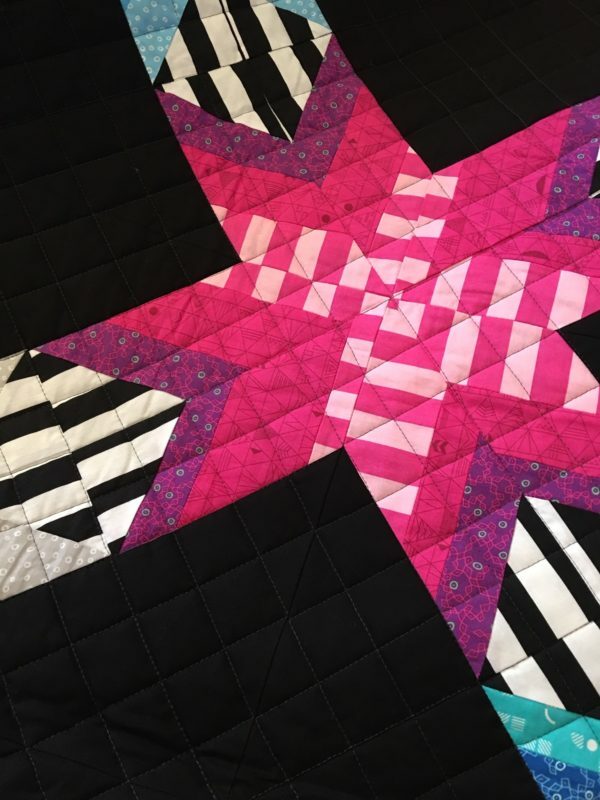 You’ll need to sew together enough strips to make 300” of binding for the Feathered Star quilt, but 256″ for the alternate layout. This week’s sponsor is Canoe Ridge Creations. Canoe Ridge Creations specializes in long arm quilting services. Canoe Ridge Creations is offering a $50 gift certificate towards long arm quilting services. Yippie! Thanks Canoe Ridge Creations! Show off your work here for all to see! 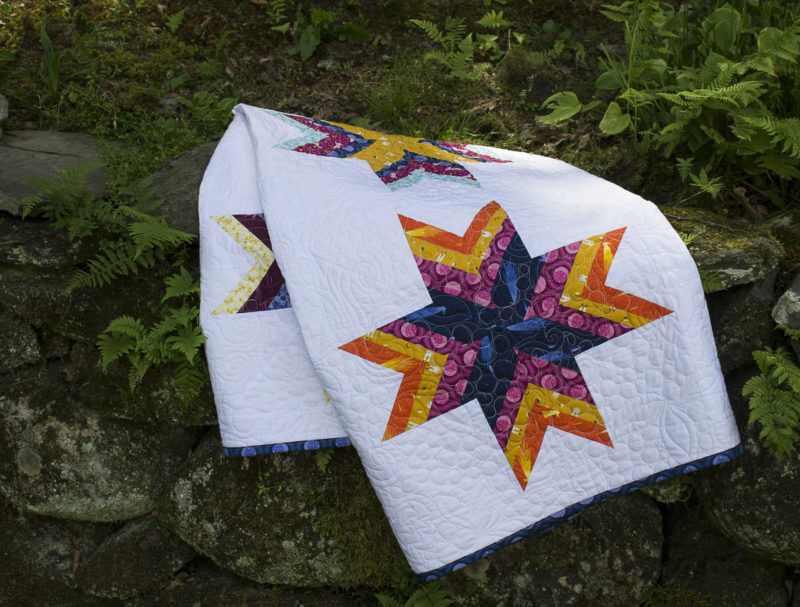 I’ve enjoyed watching you all make your Feathered Star quilts and projects. Thanks for playing along! Here’s to a less adventurous fall. LOL!